Annual conference challenges students to explore others’ perspectives while working toward collaborative solutions. Bethel’s Model UN club participated in the American Model United Nations (AMUN) Conference in Chicago in November. Nineteen Bethel students brought lessons on collaboration and compromise back to Bethel after attending a conference in November on international relations and politics. 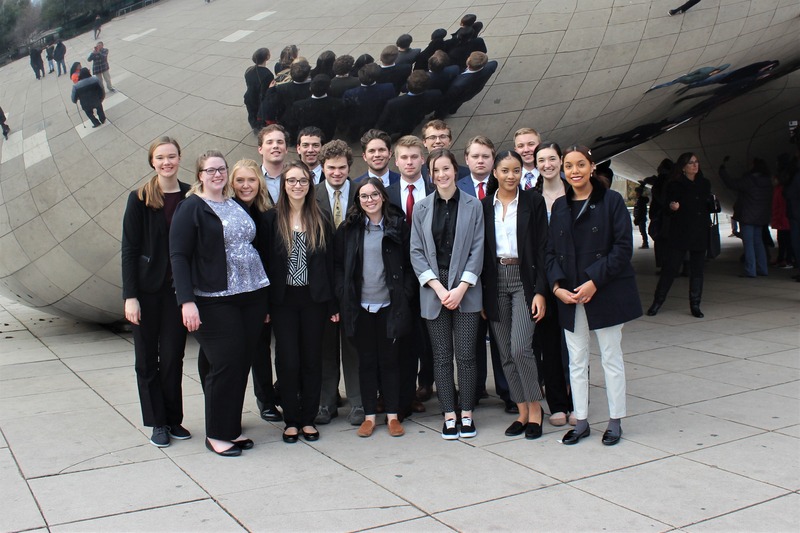 Bethel’s Model UN club participated in the American Model United Nations (AMUN) Conference in Chicago from November 17 to 21, 2018. One group of Bethel students represented Slovenia, while another represented Venezuela. Alaina Turnquist ’19, a political science and international relations double major, received a Best Delegate Award for her work with the Slovenia team. Leading up to the conference, students focused on their research skills as they learned to see the world through the eyes of someone in the country and speak from their point of view as they strove to accurately represent another country. At the conference, students must work collaboratively and speak in a way that builds trust and reciprocity as countries with diverse points of view work toward compromised agreements, says Associate Professor of Political Science Christopher Moore, the club’s faculty adviser. 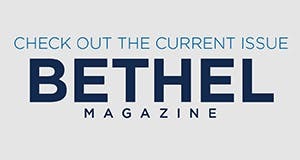 The conference pushes students to focus on diplomacy to build trust, and compromise, which Moore says meshes well with Bethel’s value of being salt and light. He adds that students return from the conference excited to share what they’ve learned. The students plan to host events on campus during the 2019 spring semester to emphasize international diplomacy and political issues.